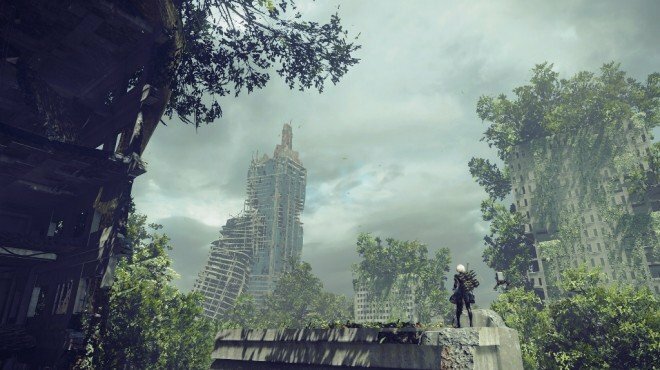 11B's Escape Plan is one of the information archives in Nier: Automata. Reactivation complete. A check of my body reveals various failures.Communication functions have been destroyed. I cannot contact my team or bunker. I leave a draft of this message here as a log. I verify the plan once more. Using my supposed destruction in this sortie as a guide, I sever all communication. I then pass beneath the abandoned factory and escape. Further analysis reveals that I took anti-air fire while in the flight unit resulting in damage to my body. No matter-it can be repaired. I'm Cold. My sensory systems seem to be failing. Noise has started to cloud my vision. Virus warnings appear frequently. It is unclear whether I am infected of it the system is in error. Repairs are proceeding poorly, perhaps because I am flustered. Pursuers will come if I don't move soon. Was I wrong to attempt escape? I'm scared. I want to go back to the bunker, but I can't restore communications. This can't continue. I can't stay here. I have to run... YoRHa squadron was wrong... I have to find somewhere safer... I'm scared. I'm so scared. In the abandoned factory, where you fight Engels' arm for the first time. 11B&apos;s escape plan is found in the factory where you originally start the game. There is a quest you take from one of the Yorha units in the space station where you get the robot suit thing.